Nobody said camera on the latest iPhones were bad. But this company here thinks it can transform an iPhone user into a pro with its new iPhone case. 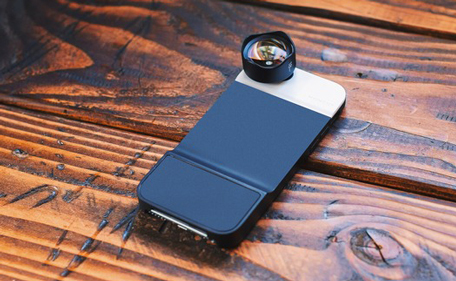 Called Moment, the company that first launched a detachable lens for iPhone has now ventured into building a smart cover that incorporates lens. But this one’s too just for iPhones. The company has launched a Kickstarter project for a new product that it has called ‘Moment Case’. The case comes with a small button on the side that adds two unique functionalities. 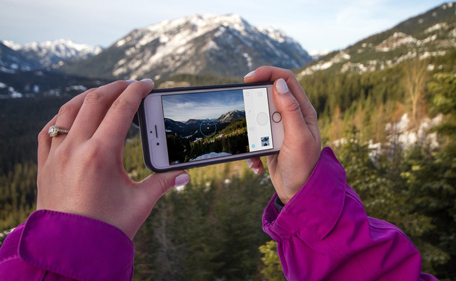 Short press the button and it immediately launches your camera application and focuses on the subject. Long press the button to immediately start clicking the shots. “By the time we reach into our pocket, access our phone, unlock it, adjust the scene, and take a picture, we’ve lost valuable time. Especially with a moving subject, by the time you tap the screen you missed the shot. 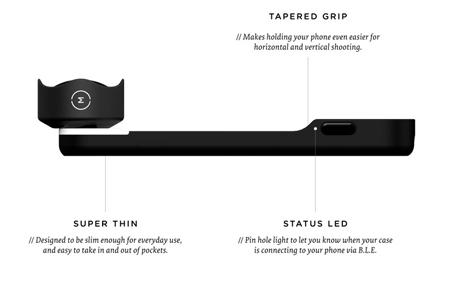 “So we decided to solve this problem by making the first iPhone 6 case that truly brings the best features of a traditional camera back to your phone,” the company says in its note. With the latest Windows 10 announcement, Microsoft also announced the new holographic platform and with it came the concept for the new Microsoft HoloLens. Microsoft HoloLens is nothing but a transparent lens that goes beyond augmented reality and virtual reality by enabling a user to interact with three-dimensional holograms blended with real world. There are no touch screens or mouse to play around with. Everything is created and controlled by gestures. “Use your eyes to navigate and explore. Use your voice to communicate with your apps. Microsoft HoloLens understands your movements, vision, and voice, enabling you to interact with content and information in the most natural way possible,” a description by Microsoft says. Users will be able to create high-definition holograms integrated with real world will unlock all-new ways to create, communicate, work, and play. The possibilities with the new Hololens are immense. Users can map the room, pin holograms to physical locations, creating a sort of canvas and thereby blend holograms with the environment around. 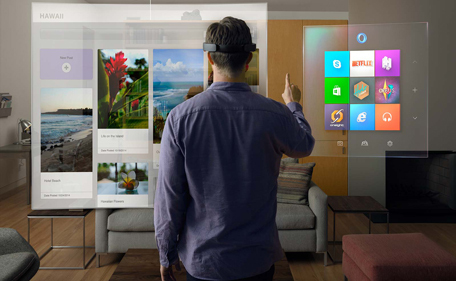 With Microsoft HoloLens, users can also interact with holograms and everyday objects together. It might sound like yet another brand with an outlet in Karama, but Luna promises to be the world's first mattress cover that makes any bed smart. Slip it onto a mattress and your ordinary bed be transformed into a smart bed that can manage the temperature of your bed, track your sleep, and integrate with your smart home. The cover uses a dual zone technology that provides the option for two people using the same bed to select different temperatures for each side of the bed. Once fitted, the mattress learns the user’s regular bedtime and sets the bed to a routine temperature. The smart mattress also tracks sleep pattern including sleep phases, heart rate, and breathing rate. There is even a built-in smart alarm. The smart cover comes in four different sizes: Full, Queen, King and California King and starts from $179.